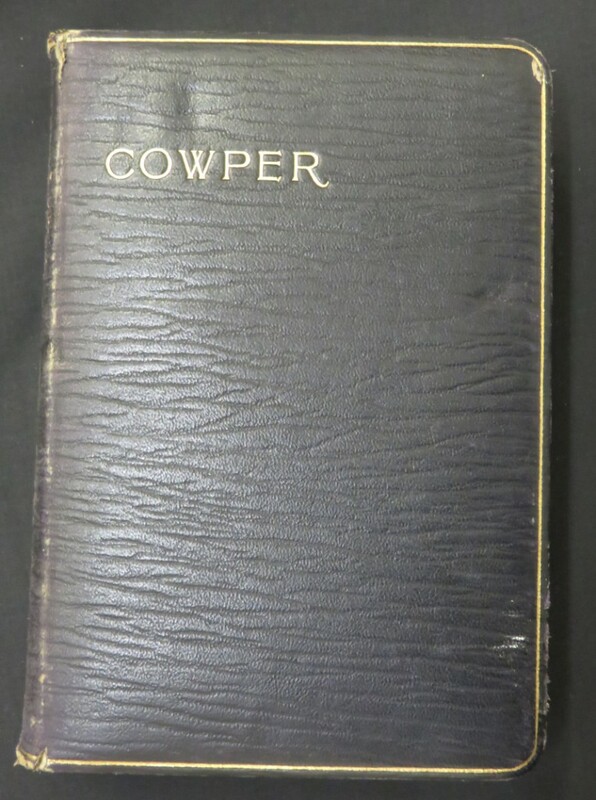 William Cowper (1731-1800) | The Dacorum Heritage Trust Ltd.
Cowper was born in the Berkhamsted old Rectory to Rev. John Cowper and Anne Donne, a relation of the poet John Donne. He showed poetic promise at an early age and wrote an elegy ‘On the receipt of my Mother’s Picture out of Norfolk’ He had a difficult time during his early schooling, which improved when, at the age of 10, he was sent to Westminster School. Later in life he joined a solicitor in Temple as an articled clerk. He left Berkhamsted shortly after his fathers passing in 1756, and a few years later he was cared for by friends whilst recovering from a mental collapse. After moving to Olney in Buckinghamshire he worked with the local Rector to compose ‘the Olney Hymns’ in 1779. There is a memorial window to Cowper in St. Peters Church in Berkhamsted where many of his family members are buried.